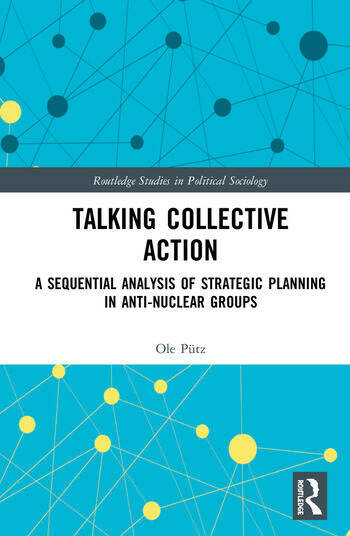 An ethnographic study of anti-nuclear movement groups that both challenges assumptions of traditional social movement studies of strategic action and shows what can be gained through microanalysis of talk in meetings, this book advances social movement studies methodologically and theoretically through the application of a new method of sequential analysis. Drawing on both conversation analysis and objective hermeneutics, it builds on microanalysis to scale up from sequences of talk to meetings, from meetings to groups, and from groups to the anti-nuclear movement, thus addressing a common criticism of analyses of face-to-face interactions: that they fail to demonstrate how their findings are relevant for questions beyond the interaction itself and thus for a broader sociological audience. A demonstration of the ways in which strategic deliberations by activists are subject to dynamics of face-to-face interaction, Talking Collective Action shows how groups adopt different styles of planning to engage with their environment and affect the groups’ development over time. As such, it will appeal to social scientists with interests in social movements, organizations and conversation analysis. Ole Pütz is a researcher at the Semantic Computing Group, Cognitive Interaction Technology Cluster of Excellence, Bielefeld University, Germany.